Dozens of cookies to chose from, from traditional butter cookies to Italian macaroons. Don't forget our s-cookies - no cup of coffee or milk is compete without one. 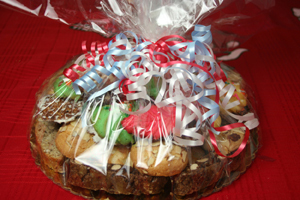 Cookie tray platter are available upon order. 2,3,4 & 5lbs.